As long as the Mac has stored files in virtual folders, those folders have been messy. So over the years, a variety of products have come along to help you clean those folders up. Hazel is perhaps the best known of these. But if Hazel is overkill for you, Folder Tidy (Mac App Store link) is worth a look. ...and after using Folder Tidy. 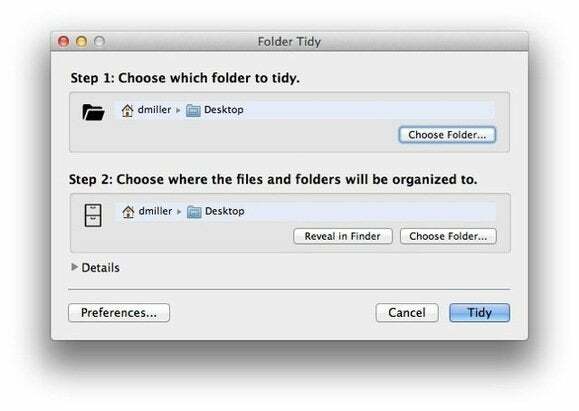 The way Folder Tidy works is simple. You set up rules—to move all PDFs to a new PDFs folder, say, or to move all image files to an Images folder. Then you run those rules on a target folder—your Desktop, say. 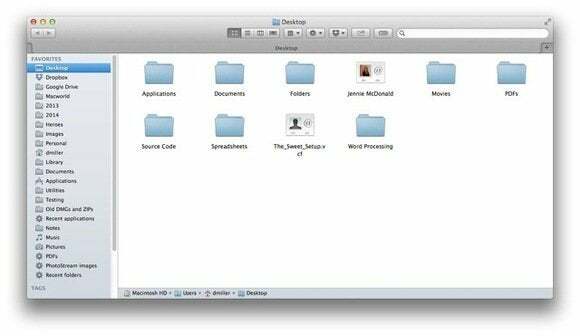 Folder Tidy then applies the rules, moving all those PDFs or images from your Desktop to their assigned subfolders. If you define and enable the right rules, your Desktop—or Downloads, your user folder, or any other folder that tends towards clutter—will be nice and neat. As I say, Hazel is one of the better known folder-maintenance utilities, and it has a couple of apparent advantages over Folder Tidy. First, it operates on an ongoing basis: While Folder Tidy only moves files when you tell it to, Hazel does so all the time, monitoring the folders you tell it to and continuously moving files according to your rules. Second, its rules are more sophisticated than Folder Tidy’s; you can feed it a greater variety of criteria to find files, and it’ll perform a greater variety of actions on the files it finds. 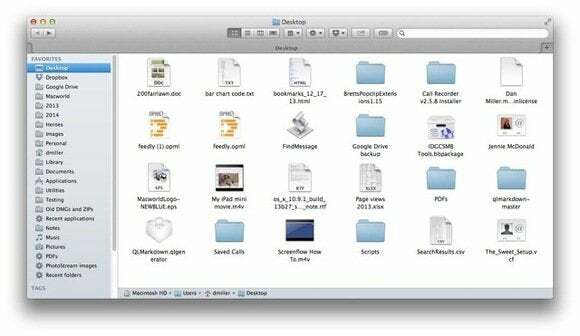 But that’s also what could make Folder Tidy attractive to many users: It’s simple. It comes with a long list of built-in rules—including those that will find applications, images, movies, music, PDFs, presentations, spreadsheets, word processing files, and more. And it will do just one thing with the files those rules find: Move them somewhere else. You can build your own Folder Tidy rules, but those custom rules are far more limited—or, depending on your point of view, simpler—than what Hazel supports. You can tell those rules to find files by kind, by date (created, last opened, or last modified), by name, or by file size, and that’s it. It also lets you opt to ignore specific files or folders, create new folders with time-stamps (particularly handy if, say, you’re organizing a big batch of photographs), and apply rules within subfolders. One other advantage of Folder Tidy over Hazel: It’s less expensive, $7 in the Mac App Store versus $28 for Hazel. So if you have folders that tend to get overgrown over time with the digital equivalent of kudzu, and Hazel is too much trouble for you, Folder Tidy could be all the solution you need to clean out the weeds.